Romain Bardet miraculously avoids major time loss in Tour stage 9, despite three flat tires on the cobblestones. The race was on. Attacks were flying. Tour de France stage 9 was nearing its finish in Roubaix. And Romain Bardet, riding alone, looked across to the TV camera and simply shook his head. After his third flat tire on the cobblestones of Sunday’s stage, Ag2r La Mondiale’s leader looked doomed to lose more time in the overall. But with a huge effort in the final five kilometers and some help from a few rivals who had also been left behind, Bardet rejoined the group of favorites to finish only seven seconds behind Chris Froome (Team Sky) and other top GC riders. The 27-year-old Frenchman was 36th on the day, well behind winner John Degenkolb (Trek-Segafredo) who had sprinted to an emotional win 34 seconds earlier. For Bardet, his race was downright miraculous. 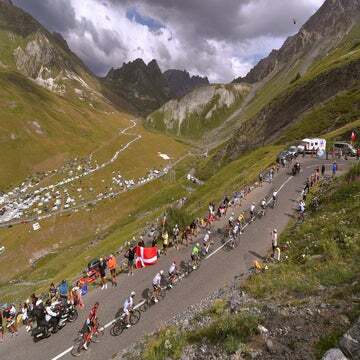 “It’s a miracle I made it back, it’s a miracle I’m still in the Tour de France,” Bardet said. After losing 1:15 in stage 3’s team time trial and then dropping another 31 seconds in stage 6’s uphill finish on Mur de Bretagne due to a mechanical, Bardet couldn’t afford to lose more time in the overall. In fact, he’d planned aggressive tactics for stage 9. “I had been planning to attack, to smash up the peloton,” he added. His day seemed ill-fated from the outset, though. On the first sector of pavé, 100 kilometers from the finish, Bardet flatted. After two bike changes, he was rolling again. Then, disaster struck on Auchy à Bersée, the longest sector, 50 kilometers from the end. He flatted again, losing about a minute. 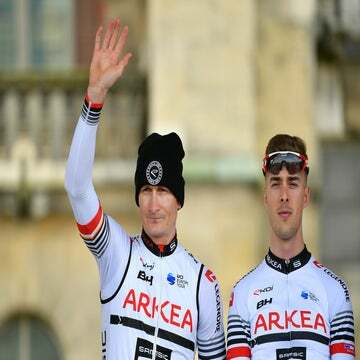 With some help from teammate Silvan Dillier, who was second to Peter Sagan (Bora-Hansgrohe) in the velodrome at Paris-Roubaix this spring, Bardet chased to within 30 seconds of the front group. However, Movistar was at the head of affairs, driving the pace for its leaders Nairo Quintana and Mikel Landa. Ironically, Bardet would eventually have Landa to thank for helping him return to the front. 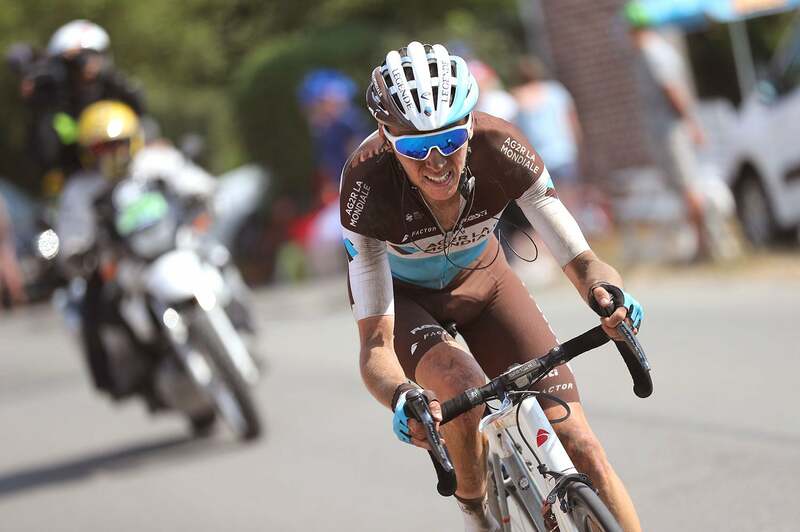 After a third flat, perilously close to the finish, Bardet was again chasing alone. As a group swept up from behind, Movistar’s distinctive blue kit was at the fore, helping Landa reel in the gap with less than 10km remaining. Landa and Bardet would go on to finish together, losing minimal time. Unfortunately for Ag2r, one of those teammates is questionable for a start when the Tour heads to the mountains Tuesday following a rest day. Vuillermoz hit a roadside fan on sector 3 of cobblestones on Sunday and crashed, slightly fracturing his right shoulder blade. He was forced to finish the day riding with one hand on the bars. The team said it will determine Monday if Vuillermoz, one of Bardet’s key climbing lieutenants will abandon the race.